GReads! : The Infernal Devices: A Personal Note + A Giveaway! The Infernal Devices: A Personal Note + A Giveaway! When someone comes to my blog, they usually expect a review about a contemporary story -- either YA or adult. Based on my reading tastes, that's a very typical thing to see here, right? 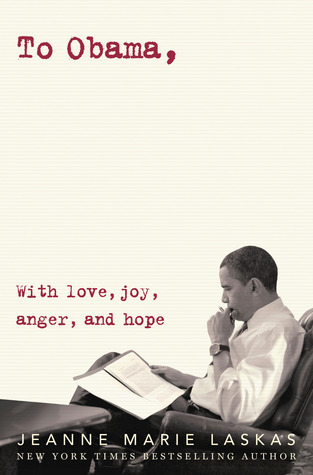 Well inside this reader are many layers of story-telling that I adore so much. The genre does not always have to be contemporary for me to call it a favorite; sometimes it's the story that captures my heart regardless of the realm it's told in. I was first introduced to Cassandra Clare's writing long before my days of book blogging. It was her Mortal Instruments series that I quickly became addicted to and found myself wanting more. This woman has a way with words that tell a story way beyond just a book of pages, separated by chapters. She had the ability to engage me as a reader from her first series, but it's her second series, The Infernal Devices, that completely stole my heart and whisked me away to a book lover's dream! After just finishing Clockwork Princess, the last installment in The Infernal Devices, I have a feeling of both happiness and sadness. This story took my heart soaring, but it also slammed it down, bearing its vulnerability. I was fearful of what's to come, but so very anxious to find out at the same time. I love when stories give a finality that you can't predict, even though you think you can. Her surprises left me very satisfied, but the ending is somewhat bittersweet. I'm not quite ready to say goodbye to this world, to these characters. The genius of it all is that you don't have to because Clare has intertwined both these series so beautifully that their stories never truly end. There are connections and links all throughout, and she's continuing with a third series in this Shadowhunter world in 2015! So this is me recommending an author to those who have yet to read her books, or persuade those who began her stories to continue on with them -- trust me, you won't regret it! Reading is such a huge passion of mine and I love when books have the ability to cause me to stay up late, reading into the wee hours of the morning. You tell yourself, just one more chapter and then bed. Yet there you are, at midnight, staring at THE END and thinking - wow, just wow. And what's better than recommending? How about offering a chance to discover The Infernal Devices by Cassandra Clare by entering my giveaway below. Up for grabs is the complete set of Clockwork Angel, Clockwork Prince, and Clockwork Princess. I want to give someone else the opportunity to lose themselves in the world that Clare has created and to be able to fall in love with her characters that I hold so close to my literary heart. Great giveaway, G! I've yet to read this series, but I've heard great things so I'm looking forward to it! Fantastic giveaway, Ginger. : ) I hope whoever wins discovers a love like you described. I went out and bought the first book on my own because my curiosity is piqued. I read the first book of The Mortal Instruments and while I wasn't absolutely in love at first glance (because I was peeved by the twist), I am definitely interested to see more. 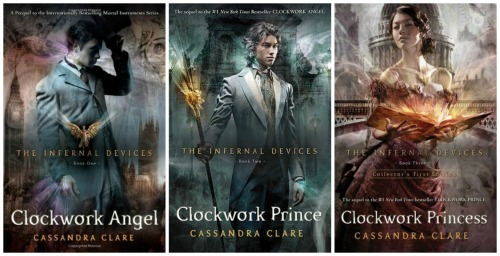 And this series, The Infernal Devices, sounds way more me. So, so, so, so much LOVE for this series! I think I said this in my review already, but I'll be thinking about it for a long time. Books that stick with me that much are seriously the best. I am so glad you love this series!!! It's my all time favorite. I think it says that if you're not signed in to the rafflecopter account you used when entering the giveaway. But I can make sure your entry is there before I choose a winner. Send me an email with your contact name & info that you used to enter the giveaway to greadsbooks@gmail.com - thanks!